We present a new column developed exclusively for the Estrella Damm brewery, giving the brand a glimpse of its beginnings. The Estrella Damm brewery was founded in 1876 by the Alsacian August Kuentzmann Damm. The company’s location and climate have meant that brewery’s main market has been along the country’s Mediterranean coast, although the beer is distributed to over 70 countries. Recent data have shown the Grupo Damm’s effervescent career, last year exceeding sales of 1,000 million for the first time, bringing in a profit of 101 million euros. The successful beer made with natural ingredients was acknowledged the best beer of 2015 at the “Spain Brewery Awards” in the prestigious New York International Beer Competition. In this search for authenticity and roots, Estrella Damm has wanted to recover the historical triangular column as a model to represent the company. 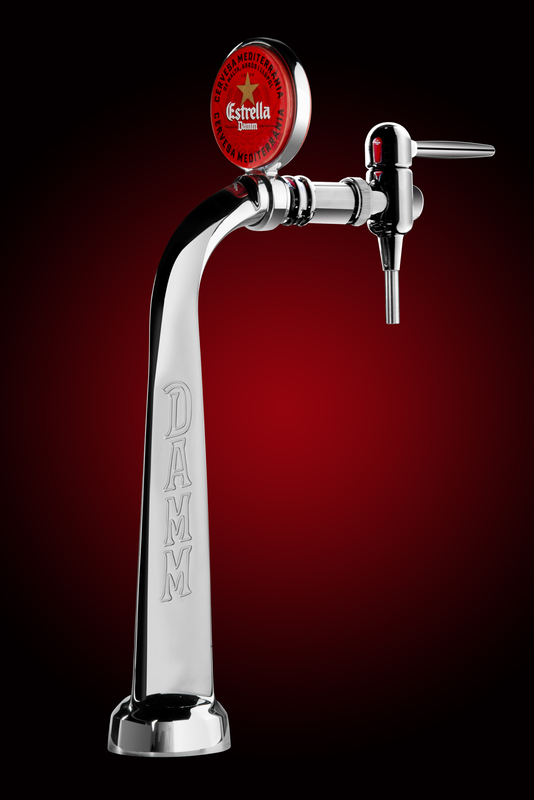 The column has been adapted for all of the company’s beers, with the logo of each one: the traditional Estrella Damm, Free Damm, Voll Damm, Bock Damm, Damm Lemon and Estrella Damm Inedit.